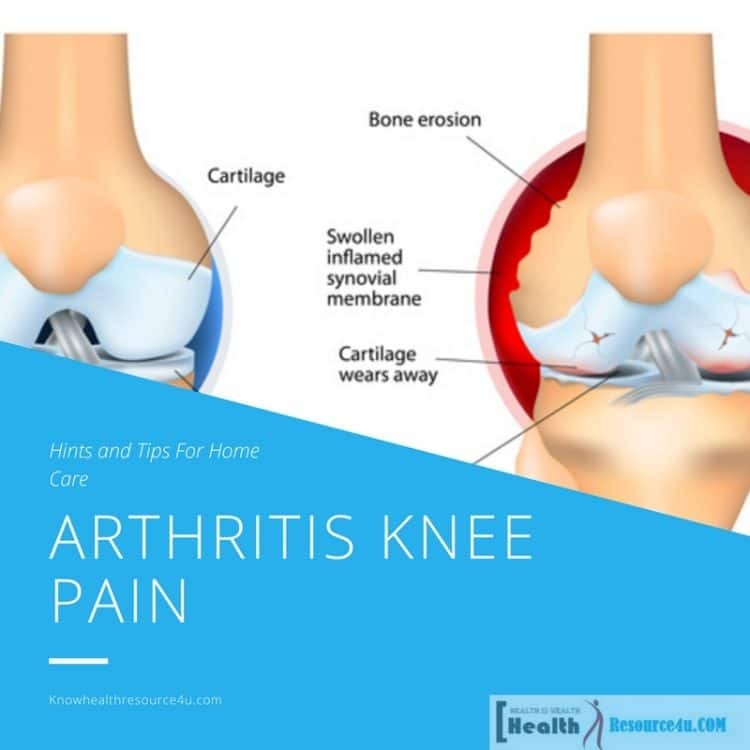 Arthritis is a disease comprising many different types and variations, each characterized by pain and stiffness in the joints leading to inflammation. According to the Arthritis Foundation, more than sixty conditions fall under this term. The most common kinds are rheumatoid arthritis and osteoarthritis. The latter is a degenerative disease developing in the middle ages. Across time, joint stress can cause the lining of the smooth cartilage to break down and wear off. Sans this cushioning to offer protection, bones rub against each other resulting in stiffness, pain, swelling, and less mobility. Joints are affected commonly by hand and weight-bearing joints including the feet, knees, spine, and hips. Rheumatoid arthritis is an autoimmune disease that impacts people aged 40 and above. It takes place when the immune system of the body attacks the synovial tissue lining the joints leading to painful inflammation. This inflammation can harm cartilage and bone across time. Rheumatoid arthritis impacts the hands and the wrists causing pain, swelling, and stiffness. Some other arthritic diseases include the following. Gout is a painful condition caused by uric acid inflammation in the joints. There’s also enteropathic arthritis which is associated with inflammatory bowel disease. Additionally, there is psoriatic arthritis which is an inflammatory joint condition impacting those with psoriasis. Fibromyalgia is a rheumatic disease causing fatigue and chronic pain. There’s also cervical spondylosis which is a joint degeneration in the neck. Additionally, there is also ankylosing spondylitis which is a swelling type condition that causes spine joints to fuse together. Arthritis treatment aims to slow down the progress of the disease, leading to minimization of inflammation and pain reduction. Medications such as corticosteroids, analgesics or NSAIDs are drugs and medicines that are prescribed often. In severe cases, bone realignment surgery or joint replacement may be recommended. Those suffering from arthritis have been dealing with symptoms through centuries-old natural home remedies. Arthritis is a leading cause of disability in the United States. Close to 50% of the US adults over 65 years of age have received an arthritic diagnosis from doctors. Older groups of Americans are not impacted by arthritis only. Close to 3 hundred thousand children and babies have arthritic or rheumatic conditions. Close to 2/3rd of those with arthritis are under 65 years of age. By 2030, close to 67,00,0000 US citizens over age 18 are facing arthritis. Osteoarthritis is common among women with close to 26 percent of adult individuals having arthritis as opposed to 18% of males. Those with arthritis or rheumatic conditions face illness and injury related unemployment or gaps in work. Physical disability can also result. Among those with arthritis, close to 47 percent have a single disease or condition including diabetes, heart disease, obesity, depression, anxiety, gout or high BP. Arthritis among kids is a reality too. It is known as juvenile arthritis and affects three hundred thousand children under age 18 in the US. Juvenile arthritis of the idiopathic type has unknown causes. Other forms of arthritis also affect children. This is an autoimmune disorder that results from genetic causes and the child is more likely to suffer from the disease. Arthritis ridden children can suffer from joint inflammation, pain with a stiffness that does not go away and impacts the hands, feet, and knees. It worsens post the night’s rest or nap. Joint pain intensity varies across people, based on the body location and other lifestyle factors. Additionally, swelling and retention of fluids through the skin across the impacted joint may also be noted. Redness, warmth, and tenderness of joints may also result, creating signs of swelling. Stiffness is another problem, with stiff joints impacting arthritis patients and creating a problem while standing, sitting or lying down in a position for a long duration. Decreases in motion range and flexibility will also occur. While arthritis symptoms vary across persons, stiffness and pain are the two most well-known signs. This is more so in the case of osteoarthritis, which leads to intense stiffness post the night’s sleep. Morning stiffness lasting beyond an hour signals arthritis, according to Arthritis Foundation. Certain joints are more impacted by different forms of arthritis than others. These include the hips, feet, knees, fingers, neck, thumb base and lower back. If one suffers osteoarthritis, it can result in problems in lifting weights, stair climbing, walking, grabbing or holding objects, carrying out detailed work and lifting the legs as well as squatting down. Arthritis can also initiate complications such as fluid retention in the affected joints, and chemical hormone hyaluronan which falls in quantity, offering less protection of the joints from the effect of pressure and shock. Certain serious complications associated with this condition include free-floating cartilage or bone within the joint fluid, leading to irritation and causing painful bone spurs. Severe rheumatoid arthritis is characterized by complications such as rheumatoid vasculitis, occurring in 1 percent of the patient population. In such situations, the treatment plan outlined is important. Inflammation, burning, stiffness, and aching are some of the problems faced by those with arthritis. This ranges across excessive pain and discomfort. Ongoing relief is difficult to obtain. For close to 52m Americans, the arthritis log provides a clue to the severity of the problem, activities imposed by pain, and what is required to relieve the pain. Arthritis pain management plans need to be in place. Daily activities need to be monitored to ward off painful symptoms. Shifting the grip is important. Discomfort in the fingers and hands are worse when carrying and lifting items with a standard grip for example palms facing downwards and gripping the item. Both hands need to be used, with palms upwards for picking items. This works with objects like bags and books. A majority of the overloaded items are for reducing trips. This includes carrying as many grocery bags as can be, checking laundry baskets and filling purses with objects. Finding ways to cut down on the weight of the object carried is important too. A lot of gadgets can be used to help those with arthritis. For instance, foam-insulation piping can be used to in different widths and lengths to cover handles on daily items such as cutlery, utensils, and brushes as well as gardening tools. Wheeled carts work when moving massive objects. A little bit of creative thinking can pave the way for easy impacts. Carrying items close to the body removes strain on smaller joints. The areas that are impacted include fingers, hands, and wrists. As arthritis is caused by degenerative and painful conditions leading to joint inflammation, it gets worse with time and age over the years. Rheumatoid arthritis, on the other hand, is resulting from the immunity attacking the joints as if they were foreign tissues. On account of this, rheumatoid arthritis is an autoimmune disease. Arthritis can be beaten with not just redistribution of weight, therefore. There’s a lot of painkillers and anti-inflammatory medications that can help too. Another critical part of home care for arthritis is to encourage the patient to lose weight. External weight or additional burden creates joint pressure in the hips, feet, and knees. Lowering the stress on the joints by inducing weight loss raises mobility, lowers pain and prevents additional damage to the joints. There are many benefits to exercise apart from weight loss. Regular movement helps in enhancing joint flexibility. Weight or load-bearing exercises like walking or running can be tough. Rather the emphasis should be on low impact exercising such as swimming, water aerobics or flexing the joints without adding more stress. Moreover, hot and cold therapy techniques can also work wonders when it comes to curbing arthritis pain. Long showers, baths or warm compresses in the morning can ease joint stiffness. Using electric blankets or heating pads that are moist at night keeps the joints loose. Treatment using cold compresses relieves swelling and joint pain. Gel ice packs or frozen vegetable bags in a towel and applying the same to painful joints for instant relief. Acupuncture is an ancient Chinese medical treatment that involves the insertion of thin needles into the body’s specific points. This is oriented towards rerouting energies and restoring body balance. The most well researched complementary therapy, acupuncture is recommended by WHO for treating over 100 various conditions. Acupuncture leads to a reduction of arthritic pain. If the treatment method has to be explored, licensed and certified acupuncture specialists can help. Relaxation and meditation techniques can help in lowering pain from arthritis through the reduction of stress and lead to better coping. As per the National Institutes of Health, research has shown that mindful meditation can help in warding off painful joints. Studies have also found that meditation helps those with depression and arthritis. When the stress lessens, the swelling and pain drops and inflammation lessens. The right fatty acids need to be included in the diet. Omega-3 fatty acids can be added to the diet for optimal health. These fats also help in reducing arthritic symptoms. Fish oil supplements are high in Omega 3s and reduce pain and joint stiffness. Another important fatty acid that can help in the alleviation of pain is Gamma Linolenic acid or GLA. It is concentrated in plant seeds of various types like hemp, borage and evening primrose. The oils of the seeds can serve as supplements. As per the Arthritis Foundation, regular joint massaging can lower stiffness and pain, improving the entire range of motion. Working with physiotherapists for learning self-massage or scheduling an appointment with massage therapists on a regular basis is important. Hearing from real patients who treat knee pain with injectables is important. Many different kinds of herbal supplements are available in the market for reducing joint pain. Certain herbs used for arthritis pain include bromelain, Boswellia, gingko, devil’s claw, stinging nettle, and thunder god vine. The doctor should always be consulted before trying on a new supplement to avoid dangerous drug interactions and side effects. Herbs are not monitored by the US FDA for quality though. When one has arthritis or a linked condition, the right nutrients in place can reduce pain and control inflammation, affecting overall health. What one eats may influence the symptoms and progression of arthritis and related conditions. Studies have also shown that anti-inflammatory herbs and foods work well for not just RA or osteoarthritis, but other forms of arthritis like gout and osteoporosis symptoms too. While there are no specific nutrition guides for those with RA, researchers have found a diet that is rich in Omega 3 Fatty acids, phytochemical supplies, and antioxidants within the body help patients a lot. The food is part of the Mediterranean diet of olive oil, fish, fruits, veggies, beans, and nuts as well as seeds. Studies have been analyzed for impact on arthritic symptoms and there are improvements in stiffness alleviation, abating pain, enhancing physical functioning and halting disease-related activities. Cold water fish is high in Omega 3 fatty acids and has proved beneficial. A chief compound found by researchers is oleocanthal, a critical compound in extra virgin olive oil. It impacts inflammation and reduces the damage of the joint cartilages. Previous studies have also found that this compound prevents the formation of COX 1 and 2 enzymes. These enzymes are implicated in triggering inflammation and work the same way as ibuprofen. It was during the 1990s, that a combination diet for arthritis was proved to be effective. Subjects started with a vegan diet and did not opt for gluten, dairy or milk for a certain period of time. The research found this resulted in no tenderness or swollen joints, lack of pain, duration of stiffness and health. This causes investigators to indicate that those with rheumatoid arthritis may benefit from a vegetarian diet. Small studies have also reported systemic improvements among patients. Research also found green tea considerably reduced the arthritis severity by leading to changes in immune system responses. This showed antioxidants in green tea block production of molecules leading to damage of the joints. In the year 2015, researchers reported the impact of green tea in alleviating arthritic pain, as per the International-Journal for Rheumatic Diseases. This CRP or C-reactive protein occurring within the blood marks swelling associated with rheumatoid arthritis. Studies have indicated that a diet high in fiber reduces CRP levels. Whole grains like brown or wild rice, barley, quinoa, beans, and oatmeal are an amazing source of protein. Following a well-balanced, healthy and nutritious diet is a critical part of achievement and maintaining of optimal weight. This is ideal for those looking to improve the health of the joints. A 2015 study reported that post a six-week intervention of up to 40 individuals, placing them on a vegan diet of legumes, fruits, veggies plus whole grains served to lower pain and enhance physical functioning. Milk is suited for the bones, but its impact on joints has less clear effects. A 2015 research reported that those with knee OA who drank milk on a regular basis had less OA progression than those lacking it. High cheese consumption makes OA worse. A study in 2013 further found that a compound known as sulforaphane present in the Brussels sprouts, cabbage, and broccoli, can play a critical role in halting the advancement of osteoarthritis and destroying the joint bone’s cartilage. A study in 2010 also found that those who eat food hailing from the category of aliums like onions, leeks, and garlic had lesser chances of early osteoarthritis. Compounds like diallyl disulphide in the foods reduce the damage caused to the cartilage by these enzymes in body cells, making it the ideal choice for those with osteoarthritis. Research has also found that several categories of arthritis like gout have a dietary association. As soon as purine is broken down by the body, a substance called uric-acid forms. Too much or less expulsion of this acid can lead to inflammation and a lot of joint pain. A study for publication in the Scandinavian-Journal of Rheumatology (2012) demonstrated that a Mediterranean diet lowered the level of uric acid and the chance of developing gout. Researchers have also found cherries contain anthocyanins which exert a potent anti-inflammatory influence and help lower the chance of gout bouts. Anthocyanin is also found in purple and red fruits such as strawberries, blueberries, blackberries, and raspberries. These are fruits low on sugar and packed with nutrients and antioxidants. A special category called tart cherries to have still higher nutrition levels. Data from 14,809 individuals in the National Health & Nutrition Exam Survey was examined by Harvard Med School researchers who confirmed that coffee or caffeine drinks and low-fat dairy item consumption foster lower uric levels. Avoidance of foods that high in purines is an important part of gout management. This includes meats such as pork, lamb, and beef as well as seafood such as shellfish and fish. Meat gravies and broths are also helpful for managing gout. Avoid carbonated drinks like sodas and goods with fructose as these can increase uric levels. A strong link exists between beer and alcohol intake and increased chances of gout. These offer protection of bones with calcium-dense items like a minimum fat dairy product, veggies including greens, calcium-enriched foods, and shellfish. Vitamin-D fortified foods like mackerel, tuna and salmon, cheese, egg yolks score on importance as vitamin D helps the body to engage in calcium absorption from the food. It is impossible for getting vitamin D needed from different sources. On the positive side, humans generate over 10 thousand IU of vitamin D in a quarter of an hour of sunshine exposure. Staple Mediterranean diet, along with virgin olive oil and vitamin D protect the body against loss of bone density and promote good bone health. As certain fish are packed with anti-inflammatory Omega 3 fatty acids, three to four ounces of fish twice weekly can offer protection against the onset of arthritis. Omega 3 fatty acid rich foods include herring, mackerel, tuna, and salmon. It works well for curbing RA. If you want to avoid fish, but stock up on Omega 3 fatty acids, soybeans can be the healthy option. This includes edamame and tofu. Soybeans are rich in protein, low in fat and enriched with fiber, offering the all-round good food items. It is wonderful for fending off rheumatoid arthritis. Whether its coconut oil, virgin olive oil with heart-healthy oleocanthal, or other healthy fats, the benefits of choosing this essential component of the diet are manifold. Oleocanthal, for example, is a potent anti-inflammatory, nonsteroidal drug. It is not the only oil with health benefits. Additionally, avocado and safflower oils also lower cholesterol and walnut oil is 10 times as enriched with Omega 3 fatty acids as olive oil. It benefits those suffering from not just rheumatoid arthritis, but osteoarthritis as well. Studies have indicated that cherries lower the intensity of gout attacks. For instance, anthocyanins in cherries have a potent anti-inflammatory impact. These are also found in other red and purple colored fruits. These are perfect for gouts. Low fat or zero fat dairy products like cheese, yogurt, and milk are brimming with vitamin D and calcium, increasing bone strength. Vitamin D also helps in calcium absorption and boosts the immune system. If dairy does not work for you, try leafy greens as these are high on calcium and vitamin D as well. Veggies like Broccoli are the perfect choice for combating osteoarthritis. Broccoli is rich in vitamins C, K and a compound called sulforaphane which benefits or slows down the advancement of osteoarthritis. This veggie is also calcium-rich and known for its bone enhancing benefits. Green tea is jam-packed with polyphenols. These are potent antioxidants which lower inflammation and slow down the destruction of cartilage. 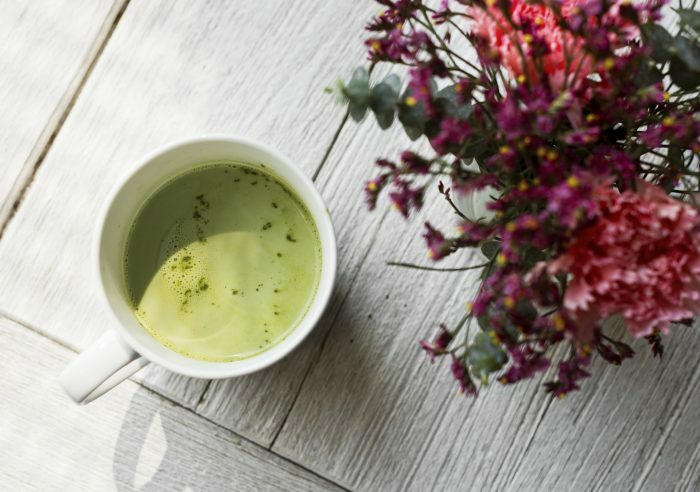 Another antioxidant green tea has called EGCG or epigallocatechin-3-gallate blocks molecule-production and leads to averting of joint damage in those with rheumatoid arthritis. It works well for osteoarthritis as well as RA. Oranges, limes, and grapefruits are just some citrus fruits that increase vitamin C. Research has shown the right degree of vitamin intake helps in prevention of inflammatory arthritis and maintenance of joints with osteoarthritis. It works well for osteoarthritis and rheumatoid arthritis. Whole grains lead to fewer levels of CRP or C-reactive protein in the blood. CRP marks inflammation associated with heart disease, diabetes, and RA. Foods like whole grain cereals and brown rice are an excellent source of whole grains. Beans are rich in fiber and this is a CRP lowering nutrient. Beans are a cheap and rich source of a protein essential for muscle health. Beans also offer richness in terms of magnesium, iron, folic acid, zinc, magnesium, and potassium, known for heart and immune system advantages. Kidney, pinto and red beans are the best for warding off rheumatoid arthritis. Those eating food on a regular basis from the allium family such as leeks, onions, and garlic, had fewer chances of developing osteoarthritis. A compound known as diallyl disulfide present in garlic may also prevent enzymes from damaging cartilage in healthy human cells. It works well for osteoarthritis as well. Nuts offer enriched protein, magnesium, calcium, zinc, vitamin E and ALA or alpha-linolenic acid as well as filling proteins and fiber. They offer a boost for cardiovascular health and induce weight loss, which helps in treating Osteoarthritis and RA. There’s also walnuts, pine nuts, almonds, and pistachios. Omega 3 fatty acid rich foods lower inflammation and have other benefits too. Salmon, grass-fed beef, chia seeds, flaxseed, and walnuts are great for keeping inflammation at bay. Sulfur-rich goods include methylsulfonylmethane that prevents joint pain inflammation and rebuilds tissues. This has also been found to lower pain and erase impairment as opposed to placebo groups. These include onion, garlic, cabbage, and asparagus. Among the most natural sources of collagen which contains proline and glycine, two very important amino acids that help in building the connective tissue is bone broth. Bone broth also scores in nutrients like chondroitin sulfate and glucosamine, which is a potent antioxidant that lowers joint pain, arthritis, and inflammation. Antioxidant-rich foods like fruits and veggies are packed with antioxidants, vitamins A and C, fiber, potassium, magnesium, digestive enzymes, and anti-inflammatory compounds. These include veggies, leafy greens, berries, pineapple, melon, avocado, and papaya. High fiber diets control the appetite and increase satiation, leading to weight loss. To keep up the healing process, you need to keep inflammation levels low by avoiding excessive sugar, hydrogenated oils like canola, cottonseed and soybean, gluten and other refined conventional grains, flour and wheat products and nightshade plants like potatoes, eggplant and tomatoes when you have autoimmune or rheumatoid arthritis. About 1 in 5 adults in the US struggle with different forms of arthritis. This is as per the Center for Disease Control and Prevention. It is more so for those aged 65 and above. If a person lives to the age of 85, there is a 50 percent chance of developing arthritis. Arthritis encompasses close to a hundred different types including gout and lupus. OA affects seniors mostly and is linked with old joint injuries from accidents or excessive weight. Injuries are often to blame for arthritis but the right sports can be the key to effective pain management. Multi-modal pain management works, with the right blend of medicines, both OTC and prescription, physical modalities such as ice and heat application and topical relief measures to counter arthritic pain. One of the most critical steps for effective pain management is exercise or physical activity that is low impact, especially in water, for controlling pain and increasing range of motion. The buoyancy of the water creates less pressure and impact on the joints. Aquatic classes can also be carried out for arthritic patients. Gentle exercises with moderate weights can also strengthen the joints. An excellent exercise is walking, especially when you are suffering from foot, knee or hip arthritis. This is more so when the pain can be mitigated using physiotherapy. Home exercises are the best for people. General conditioning and listening to the body as one performs exercise can make pain management easier. Maintaining healthy weight is also a critical part of the ability to stay active. Medications such as OTC drugs can have many side effects, if not correctly administered. You need to work with your doctor to find the right medication level for effective pain management. Doctors need to be asked about topical therapies, supplements or stress mediation techniques for complementing medications. Different types of medicines are available for arthritic pain relief. These are safer though no medication is devoid of side effects. You also need to formulate the medicine plan for specific pain-related symptoms. OTC pain medications such as Ibuprofen, Acetaminophen or Naproxen Sodium can help in relieving pain triggered by muscle and joint activity such as gardening post a winter indoor session. Losing a sense of control and accompanying depression worsens the pain and lowers the quality of life. Classes need to be taken on arthritic management and helpful tips or skills for managing the condition. Support from others will also be gained. The emphasis is on different facets of arthritis and how to handle it. Techniques to manage pain and fatigue can even make a difference in the quality of home care provided and the need for medical supervision. Pain has a mental as well as a physical component. Cognitive behavioral techniques, yoga, mindfulness, and meditation are only some ways to reduce chronic pain. Taking a mental approach to chronic pain management lowers dependencies on medication. The prime cause of disability and pain across the world, arthritis can be effectively combated with the use of stress reduction, medication, and exercise. Self-management also means educating yourself about your condition, including the type of arthritis and the nature of the joint damage. You need to consult friends and family and inform the doctor if there’s a change in pain. Another crucial component of handling the pain effectively is heeding the joints while standing, sitting or engaging in activities. The joints need to keep moving and daily stretches are needed to provide the full range of motion. Adhering to a comfortable posture is essential. Your physiotherapist can demonstrate how to move, stand or sit in the correct posture. Balancing activity and rest are also essential. When one suffers from arthritis, movement diminishes stiffness and pain. It also improves the range of motion, strengthening muscles and enhancing endurance. Choosing the right kind of physical activities is essential, and occupational or physiotherapy at home can guide you about the exercises that create muscles around the joint, but lead to no wear and tear of the joints. The focus needs to be on a range of motion exercising, stretching and gradually advancing strength training. There’s low impact aerobic exercise such as water exercises, walking and cycling to enhance the mood and control the weight. Go against activities that use repetitive and high impact motion such as jumping, running, tennis, high impact aerobics and more. You need to also avoid OTC pain relievers on a regular basis. Ignoring prolonged and severe arthritic pain is important. One may have joint inflammation or damage on the basis of daily medication. Focusing on pain alone is not enough. Depression is also common with arthritis. Treating this with antidepressants and other therapies reduces symptoms of depression and arthritic pain. Arthritis pain has a negative effect on the mood. If daily activities create a sense of inadequacy, a sense of discouragement sets in. While these normal feelings escalate to create fearful, hopeless thoughts, pain can get tougher and harder to manage. CBT or Cognitive Behavioral Therapy is an effective, well-studied combination of the talking cure and behavior modification therapy for identifying and breaking self-defeating thought and action cycles. Relaxation therapy ranges from meditation to yoga, deep breathing, hearing music, enjoying nature, journal writing and whatever else it takes to relax. Relaxation is the key and it can help in alleviating pain. Certain people achieve pain relief through acupuncture treatments when needles are inserted at certain points in the body. It can be a few weeks before therapies can be used for an improvement. Massage therapy and compresses can also be applied. Everything from alcohol to smoking and a negative attitude needs to be avoided. Don’t succumb to addiction because smoke toxins can lead to stress on connective tissues, exacerbating joint problems. Lifestyle changes are also important for providing relief from pain. Managing weight, leaving out destructive habits like smoking can be a major step forward for therapy success. Alternative options are also there for arthritis sufferers. These range from supplementary additions to acupuncture. But along with this, changes in lifestyle, diet, and approach to pain management is important. Extra body fat stresses the joints, but a lot of fat deposit can exacerbate issues in the joints that are sensitive and somewhat damaged. Adipose tissues earlier counted as a passive energy storage, play an important role in metabolic rates and generation of adipocytokines which play a vital role in maintaining cartilage balance and warding off conditions like osteoarthritis. Certain obese or overweight patients suffer from arthritis in different body parts such as the hand, which don’t support additional weight but are impacted by inflammation. The increase in adipose cells revs up the pace of the joints suffering wear and tear. This is more so in those at a risk for arthritis. Maintenance of an ideal weight by consuming a nutrient-rich diet is beneficial because it helps in stress reduction and staying active. This is one of the most important activities for promoting good health of the joints and can avert arthritis. Exercise strengthens the muscles surrounding affected areas which adds support and mitigates strain. Movement is a critical part of arthritis treatment and the most effective non-drug based treatment for pain reduction and enhancing mobility in OA patients. Regular activities lower inflammation, lead to hormone regulation and prevent replacement or corrective surgeries. Aim for 2 hours 30 minutes of medium intensity and 75 minutes high-intensity exercises each week. This includes exercises most suited for those with arthritis and ranges from daily movement and flexibility stretches to quick walks for heart health and improvement of the immune system. Aerobic exercises also build endurance and strength, such as water-based exercises, jogging, cycling, walking, swimming or opting for an elliptical machine is beneficial. Equally beneficial is strength training whether you use light weights or own body weight. These enzymes help in good digestion by creating essential enzymes that are produced for metabolizing foods in the digestive organs. These enzymes range across chymotrypsin and trypsin produced by the pancreas. Additionally, there is papain and bromelain. These enzymes are generated from tropical fruits like papaya and pineapples which are rich in papain, bromelain respectively. Proteolytic enzymes exert impact and reduce swelling because they enhance stomach health and immune system functioning. Research shows that pain and inflammation can be reduced for arthritic patients. Raising mobility in those with OA, this is suited for fending off infections and control of inflammatory responses. Doses are based on the type of enzymes. Recommendations range from 2 thousand to 5 hundred mg taken thrice a day between meals. Apart from turmeric which contains 100 active compounds that ward off inflammation, ginger is also a healthy spice to opt for. It contains pain blocking plus anti-inflammatory effects on the body. Ginger lessens pain and improves overall stomach health. A study published in 2005 found that ginger extracted from plants like Alpina Galanga and Zingiber officinale species of plants leads to potent anti-inflammatory effects. Genes impacting inflammation contained in these plants include genes related enzymes like cytokines, cyclooxygenase, and chemokines. Ginger extract lowers the production of chemicals which lead to joint inflammation such as leukotrienes and salicylates that cause pain relief. 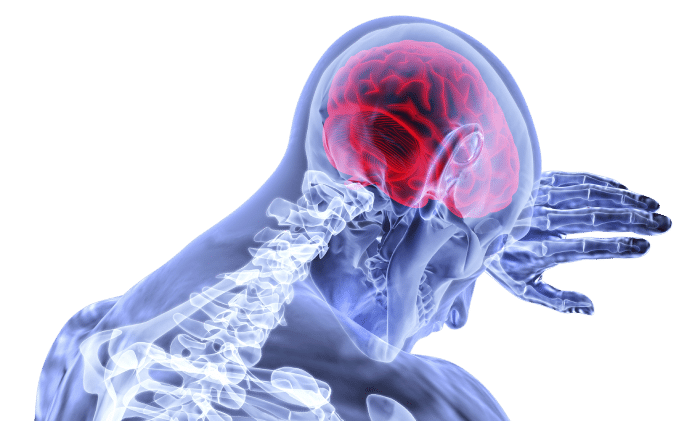 Salicylic acid binds enzymes to the cells and stops production of prostaglandins, which send pain signals to the brain and lead to inflammation. Safety and efficiency of ginger extract in impacting OA patients is well documented by research. Another important spice that offers natural remedies for arthritis is capsaicin or cayenne chili. Capsaicin is a substance that yields spicy heat and depletes a neurotransmitter known as Substance P. This is a protein that transmits pain signals to the brain from the nerve endings, leading to joint inflammation. Less Substance P causes the least pain and inflammation. Research has also found that of the 22 complementary medications, capsaicin is most effective for OA. Capsaicin creams can also be topically applied over the counter. Turmeric more than just a spice. It contains a chemical called curcumin that helps in reducing arthritic pain. The anti-inflammatory properties it has are the reason for this. NIH studies have found that turmeric provided to lab rats lowers joint inflammation. Research on the use of the supplements for humans is required. But clearly, this spice has a lot of benefits. This is called Indian frankincense. It is a potent supplement that reduces inflammation. It can be discovered in forms that are concentrated such as oil which is therapeutic grade and can be applied over painful areas for relief. Boswellia-Serrata’s extract is considered as potent as NSAID medicines. Boswellia impacts arthritic pain through mechanisms that boost immunity, prevent cytokine-production that causes swelling, reduces reactions to sensitivity and helps in lymphocyte regulation and T-cell interactions, reducing autoimmune impacts associated with immunoglobulin-G type antibodies. Many drops of pure oil of this plant need to be combined with coconut oil, or myrrh, orange, peppermint, lavender, ginger or turmeric paste or oil. Comfrey is a medical herb that makes a wonderful addition to treatment for arthritis. Researchers from Australia discovered that comfrey gel improves pain alleviation. Research published also showed that those participants who applied comfrey cream to the affected area were pain-free and lacking in stiffness apart from improved physical functioning. Another oil that works well is eucalyptus oil. It relieves inflammation and joint pain. The key ingredient here is menthol which lowers pain by raising blood flow and skin temperature. Commercial eucalyptus ointment is a powerful pain-blocking agent for arthritis. Eucalyptus oil can be used to relieve the pain by just inhalation. Studies have found that eucalyptus oil, when topically applied, are also perfect for reducing arthritic pain. Borage is a Mediterranean herb used in a variety of dishes. This culinary herb has a long history of medicinal use as well. It is an oil which contains gamma-linolenic acid which maintains the structure of the cells and functioning of the joints, inhibiting joint inflammation. Linolenic acid is also found in vegetable and seed oils and nuts. Therefore, borage seed oil is a great choice for combating arthritis. Rosehip is anthocyanin-rich. Anthocyanins are flavonoids that contain antioxidant and anti-inflammatory effects. This slows down the progress of arthritis by blocking enzymes that digest protein and break down cartilage. Rosehip herbal remedies have been found to slow down the progress of osteoarthritis as well. Don’t let arthritis come in the way of a healthy and happy life. There are a whole lot of home care remedies available and you don’t even have to resort to OTC medicines. Staying physically active, alert and guarding against weight gains are secrets to an arthritis free life. Don’t let joint pain stand in the way of an enjoyable life. Use these easy hints and tips to safeguard yourself against the perils of arthritis.